Dr. Wang graduated from China Medical University with a MD and Master’s degree. She then completed her training in Internal Medicine and Endocrinology and worked as a staff endocrinologist at the Shengjing Hospital of China Medical University. Her strong interests in both clinical service and laboratory medicine directed her to choose the Medical Biochemistry residency training program at McMaster University. 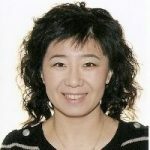 Dr. Wang received her fellowship in the Royal College of Physicians and Surgeons in 2013 and joined Children’s & Women’s Health Centre of BC as a Medical Biochemist. On clinical service, Dr. Wang provides consultations to clinicians on test selections, interpretation of test results and setting up new laboratory tests if clinically indicated. Her research interests focus on developing new laboratory markers for pediatric and obstetrical diseases. She is also actively involved in training medical biochemistry residents, general pathology residents, endocrinology fellows and teaching in the UBC Bachelor of Medical Laboratory Science Program.